We offer a wide range of sports facilities for hire in Shrewsbury. Based in the extensive grounds of Shrewsbury College, people can enjoy our indoor sports halls, outdoor pitches, athletics track and fitness suite… all available for hire at very competitive prices. We are easy to find and there’s plenty of free parking. Our newest and most popular facility is our premier 3G football pitch. Maybe you’re part of a sports club and are looking for somewhere new to train, from football to gymnastics and martial arts. Or you’re simply after somewhere great to have a kickaround with friends or a game of basketball. Lots of people take advantage of the monthly membership deals we offer for our gym. We run lots of children’s parties and holiday camps. As you can see, a whole host of guests and activities! Some of our activities at London Road Sports Centre include Sports hall, Gymnasium hall, Badminton courts, Table tennis, Trampoline hire, Volleyball courts, Cricket nets, Football pitches, 3G artificial surface pitch, Tarmac court, Athletics track and much more. London Road Sports Centre has welcomed hundreds of adults, students, juniors, seniors, professional teams such as Shrewsbury Town Football Club. If you would like to enquire about availability and prices, please call Simon and team on 01743 342 591. So What Facilities Have We Got? 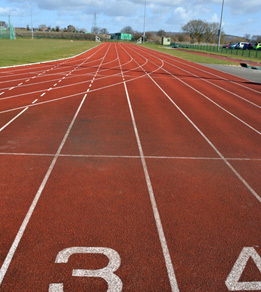 We converted London Road’s previous Redgra track into a top-level six-lane, 400-metre synthetic surface. 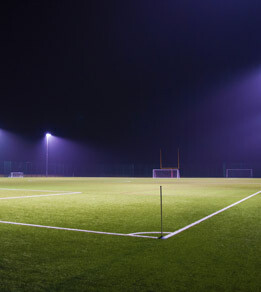 London Road Sports Centre is delighted to offer a state-of-the-art 3G playing surface in Shrewsbury. 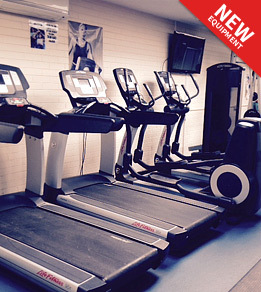 Our fitness suite in Shrewsbury is open to everyone. We have adult membership, junior, student and over 60's. 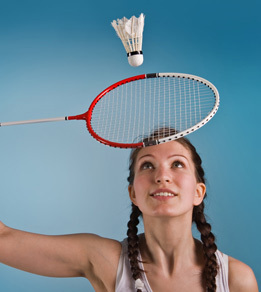 With Badmington and Futsal also available there are lots of reasons to visit London Road sports centre. The London Road Sports Centre opening times for school term and school holidays. 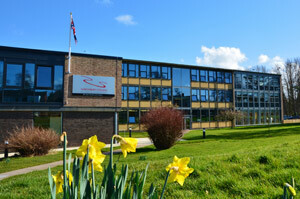 Please note that the sports centre centre is closed on all bank holidays.